If you’re searching for a reliable fence company in Haslet, TX As well as the surrounding areas, you’ve found the one! We here at Ware Fencing are professionals in all things fencing, including fence repair, fence installation, and fence replacement. Our services are meant to help add to the curb appeal as well as the property value of your house or property, while also providing you with a functioning addition. Our crew works diligently to make any fencing idea a reality. To learn more about your fencing options, give us a call at 817-948-4503 today! As an expert and local fence company in the Haslet area, our team has years of expertise serving houses and businesses in this community. While many residential fence installers have limited resources, our crew can even provide farm or ranch fence services to our clients. If you’re searching for any kind of residential fencing solution, our experts will carry it! Cedar as well as aluminum are both common picks from our residential fence stock, because they provide cost-effective affordable safety. 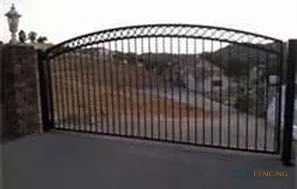 As far as security is concerned, you can rely on us for wrought iron fences, or even specialty security fencing. Even if you need a customized fence design that you don’t see listed here, you can count on us for the perfect fence. 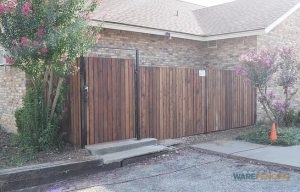 If you’re looking for a fence company in Haslet, TX that you can count on, look no further. We only utilize top quality materials, and customer satisfaction is our #1 objective. If you are looking for a particular fence, you can count on our team to work diligently to make it exactly as you imagine it. Give the team a call at 817-948-4503 now to schedule your appointment, or to request a quote. When you need a fence company that won’t let you down, we are the professionals for the project.